Carrots ‘Colmar' (Daucus carota 'Colmar'): growing, planting, caring. 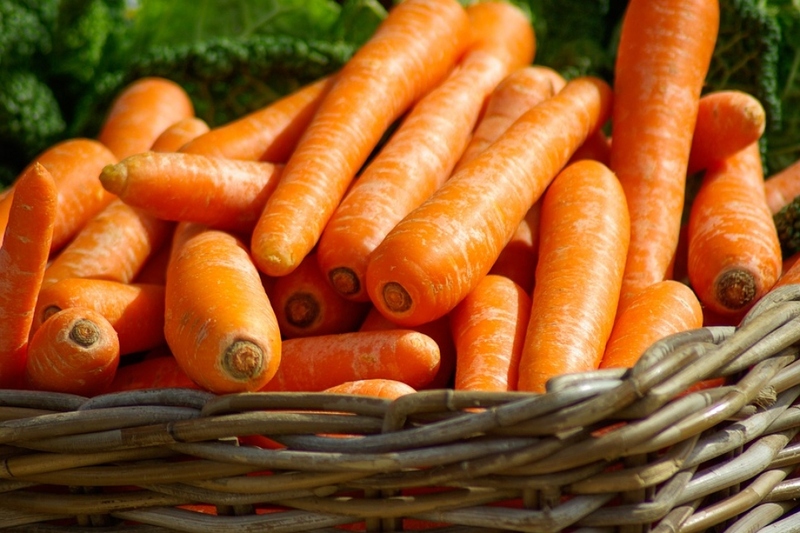 Easy go-to carrots for the winter garden, but also a great selection for multiple seasons. Colmar have a deep red-orange colour and conical roots that grow 11-12 inches long and resist splitting while waiting to be dug. Hefty, broad roots are sweet and delicious. The carrot 'de Colmar', also called "winter carrot" produces large, almost smooth roots, with red and sweet flesh. It is easy to keep during all winter. This variety can be sown in rows starting in April and throughout the summer. Plant in open soil, where the earth is deep, cool, sandy and exposed to the sun. Water after sowing. You may seed starting at the end of February/beginning of March under a greenhouse tent or cold frame for an early harvest. Quick note! Carrot seeds are very small... Mix them with a bit of sand to help sow them more evenly. Another thing! Mix in some radish seeds too! The radishes will grow more quickly, giving the young carrot sprouts a little shade and then leaving them space one they're harvested!. They'll also keep red spiders away!